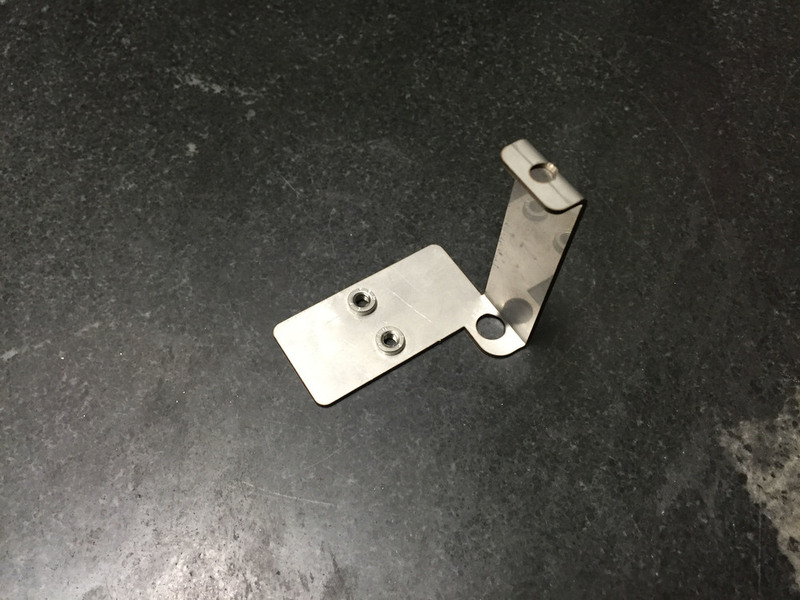 Using 16 gauge (.060) stainless steel, this custom terminal bracket was manufactured utilizing a number of in-house fabrication processes at our manufacturing facility in Grafton, Wisconsin. The fabrication process for this part began by cutting out stainless steel blanks using our high precision laser cutter. After the blanks were cut out, each individual piece was deburred to ensure the parts had quality, smooth edges. The parts were then sent to our engraver machine to have unique product codes marked on each individual piece. Once the parts were engraved, we utilized our PEM insertion and forming capabilities to complete the part. The final custom fabricated terminal bracket highlighted below measures out at 2.5" in length, 1.5" in width and 2.25" in height. At Dickmann Manufacturing Company, our success is built off of hard work and strong family values. Over a year, we manufactured 50,000 of these pieces for a customer of ours in the lighting industry in the greater Chicago area, whom was very pleased with the quality, cost and three week lead time of this job.